Exciting New DVD Video now available to focus on the adoption problems companies face. In this video, you’ll learn why typical techniques of adoption don’t work in the long term – or require an immense amount of work. 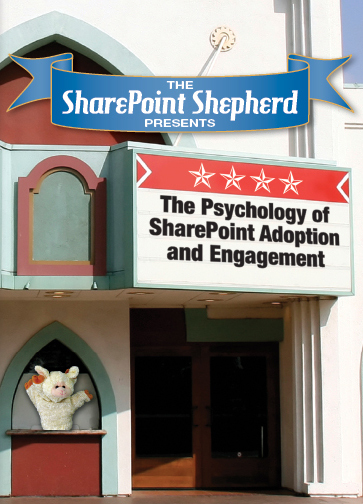 Packed with concepts, ideas, and strategies; this DVD series will help transform your organization to realize significant benefits from SharePoint and collaboration. In this video, you’ll learn why typical techniques of adoption don’t work in the long term – or require an immense amount of work. Creating a vision for change, more than communicate it and they will come? This fast-paced video, packed with lessons from dozens of thought leaders and 20 years of consulting experience, will have you watching over and over to wring every last drop of knowledge from the video.